Keep reading for all the details or go straight to the video. Fabricate the orthosis, make sure it fits well and trim as needed. Smooth or round the ends where you want to attach the straps. Heat one piece of Orficast 3 cm (1.18″) with a heat gun, using the pliers. 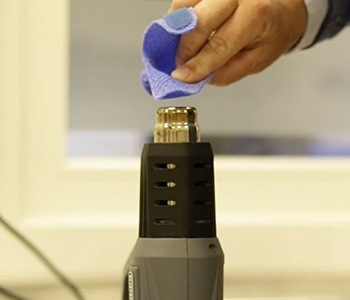 Hold the adhesive backed hook tape with the pliers and briefly heat the sticky side with the heat gun. 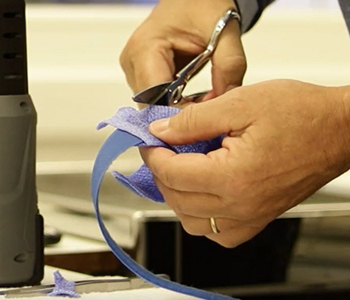 Attach the hook tape to the heated piece of Orficast and cut neatly into the desired shape. 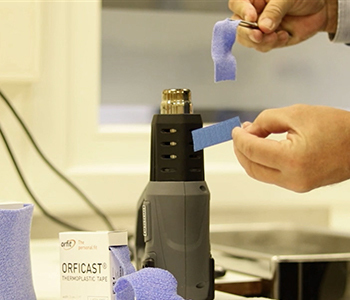 Use the heat gun to re-heat the hook tape on the Orficast side, place it on the orthosis and press together firmly. Be aware of the heat. Heat the other side of the orthosis, where you will be attaching the loop tape. 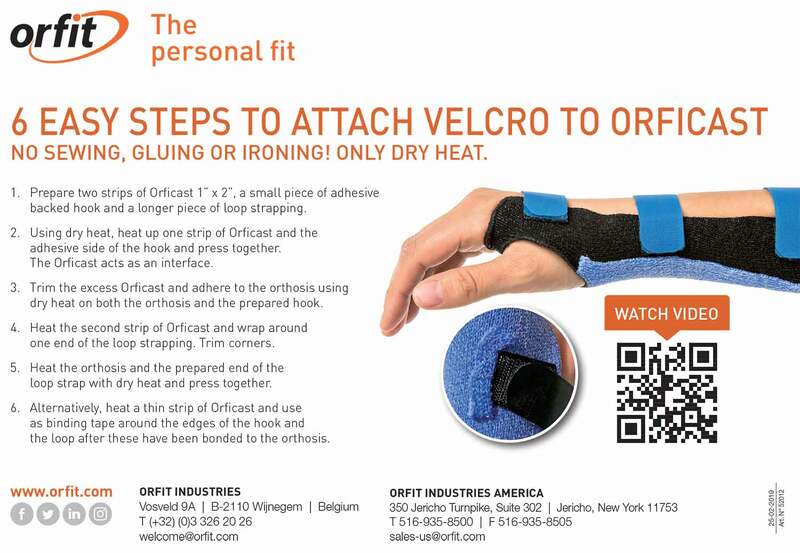 Attach the piece of loop tape by pressing the underside into the heated Orficast orthosis. Heat the other spare piece of Orficast with the heat gun and position it on the orthosis, completely covering the loop tape. Firmly press together and make sure that all edges are secure. Cut away the excess Orficast material for clean edges. Alternatively, wrap the heated Orficast around one edge of the loop tape, completely covering it. Trim the edges and heat this up again with the heat gun before adhering to the orthosis. Place the orthosis on the patient and fasten the strapping snugly. Check the fit and trim the loop tape as needed. Always apply firm and even pressure to the entire surface of the material when attaching the strapping. This will ensure a secure fit. Avoid burning yourself by using the pliers to heat small pieces of material. Make sure to not overheat the material with the heat gun. 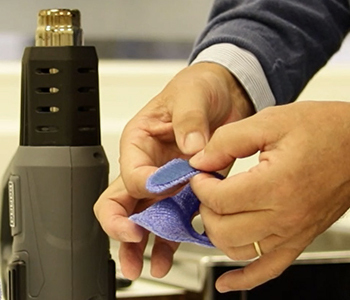 Keep the edges of the orthosis and the hook and loop strapping clean and neat for optimal patient comfort.